Aaron Cantrell, owner of Everything Wing Chun, talks to Kung Fu Tea about the Future of the art. 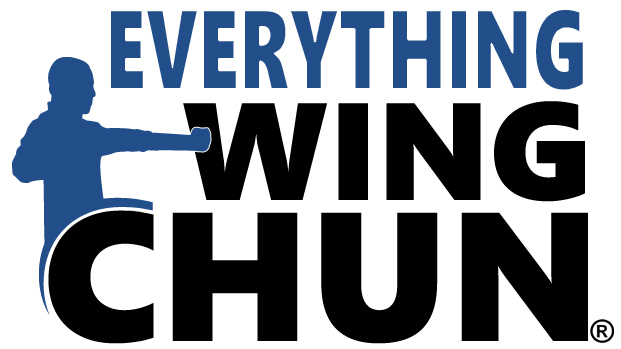 An interview with Aaron Cantrell, owner of Everything Wing Chun. When discussing the Chinese martial arts, there is a tendency to focus obsessively on their distant roots and ancient origins. One of the things that I have always found interesting about Wing Chun is that its more recent history is equally fascinating. In 1900 only a handful of individuals practiced the style, today it is one of the most popular Chinese martial arts and can be found around the globe. This is all the more surprising as many other Chinese martial arts have not fared so well in the transnational marketplace. Kung Fu Tea (KFT): Why don’t you start by introducing yourself? How were you first get involved with the Chinese martial arts, and how did you come to run an on-line retailing company that caters to the needs of Wing Chun students around the globe? AC: Thanks, Ben. 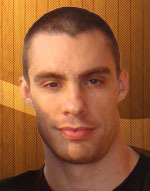 As you mentioned, my name is Aaron Cantrell and I run eight Wing Chun related websites – the main 3 being: EverythingWingChun.com ®, The WingChunUniversity.com ®, and eWingChun.com. I was first introduced to Wing Chun by some friends taking it. I really was not interested in Wing Chun at first, as I was taking another martial art at the time and my friends were so new to Wing Chun that they could not demonstrate its effectiveness to me properly. But long story short, I eventually got tired of the old style and realized I needed a much better fighting system. My friends quickly became fanatical about Wing Chun, so I had to check it out for myself. As soon as I saw it in action I knew it was what I had been looking for. I started training Wing Chun in 1999 and being a collector, spent the next few years accumulating all the information that I could on the art, amassing somewhere around 400 books and videos on the subject (this was pretty much everything ever made up to that point). That was my first exposure to the wider world of Wing Chun. I published my collection online (on my first site, www.wcarchive.com) along with a list of books and videos I was looking for – and found out that I was not alone in wanting to collect Wing Chun books, videos, and collectables. The store kind of grew out of that. I needed a way to fund my online Wing Chun projects and I found that other collectors and practitioners appreciated a site that they could goto to get what they needed. The store actually started with just 1 DVD, but I reinvested every penny back into promoting Wing Chun online and adding more products. As of the writing of this, the Everything Wing Chun site currently lists over 700 separate Wing Chun products from over 50 different teachers/authors at any one time. It also funds and supports many Wing Chun sites and events that promote the art. Today we are still constantly trying to make this store better for our customers and trying gather all the good Wing Chun (Ving Tsun, Wing Tsun, etc) products under one roof for them. Our latest sites (eWingChun.com and WingChunUniversity.com) will bring Wing Chun fans and our customers an incredible resource site as well as a unique Wing Chun Online University once they are complete. KFT: In your experience, what are the central tenants or shared experiences that define the modern, global, Wing Chun community? AC: First, I would like to let people know how my opinions on this are formed – and that is by my interactions with a number of sifus and students online. Most of this interaction comes from my own sites, forums, blogs, etc and the 200+ emails I get every day. My thoughts on these topics are just that – my current thoughts and they are subject to change when presented with new information. As to your question… I am no expert, but I see a newer shared experience of having to defend Wing Chun as a optimal martial art to study. Wing Chun has come under fire in recent years with the rise of BJJ/MMA. Our community is now criticized more that ever by hostile outsiders. If you practice Wing Chun then at some point going to have to defend your choice of martial art against your friend that does BJJ and thinks you are a sap wasting your time and money. You didn’t really have that 10 years ago – at least not to the same degree. Also, everyone tends to believe Wing Chun/Ving Tsun/etc is the “smartest” and most effective version of kung-fu, if not martial art, in the world. While most martial artists feel their art is the best, it is a really strong belief in Wing Chun. Practitioners only tend to argue over which version of Wing Chun is superior! It is an art that elicits strong opinions and a really strong devotion. The community is pretty unified in their opinion of other martial arts being inferior. You can also see this type of belief in BJJ, and MMA a little bit, but I don’t really see this in any other martial art. Aaron Cantrell, owner of Everything Wing Chun. KFT: What are the biggest changes you have seen in that community over your years of involvement with it? AC: I have been involved for 13 years now, so a relatively short period of time, but enough time to see some changes. The first thing that comes to mind, for me, is that the community now is a little more unified as a whole than in the past. Wing Chun is very political and very fractured in some regards. Ip Man taught people differently, and did not officially declare an heir to his system. He left multiple Sifus believing they got the real and complete system that no one else did. There has been a lot of in-fighting in Wing Chun over the years because of this. Today what I see is a more unified community, and this is different for a few reasons. First, with MMA/BJJ’s rise to dominance Wing Chun has come under attack and is more scorned as a martial art. This dislike for the art by outsiders has actually made the practitioners more unified – common enemy and everything. Plus, and this is just a thought, it seems like MMA’s success has led practitioners to be more open to studying other forms of Wing Chun – almost like creating a MWC (Mixed Wing Chun) – which leads people to recognize there is benefit in almost all the lineages as long as one has a good teacher and applies themselves. There used to be a lot of sites made specifically to promote unity in the larger Wing Chun family because all we did was fight with each other. Now we are more focused on how Wing Chun compares to these modern martial arts. The focus has stared to shift from inside to outside again, more like it was back in the old days when Ip Man was still around and Wing Chun was proving itself in the streets and on the rooftops in Hong Kong. This is a good thing in my opinion. We should be united instead of fighting within our Wing Chun family. Second, the research by modern sifus and the availability of media on the art via YouTube and personal websites has brought a lot more attention to the non-Ip Man lineages. It also allows a better comparison of what Ip Man taught to his different students. Just seeing all the lineages and how they operate and learning their histories has had an impact on how we are now more considerate of our Wing Chun brothers than in the past. When information flows freely there is more unity, when the information stops then we see more disharmony and misunderstandings occur. In-fighting and division still exist, and always will, but overall the community is starting to feel more unified. Lastly, I think I have to mention the movie Ip Man and the Grand Master’s growing popularity because of the art’s recent exposure in various movies and documentaries on the art. Ip Man is just a movie, but I see a marked difference in how others view the art since its release. People have become more interested, familiar, and/or more respectful of Wing Chun. Ip Man as portrayed in the The Grandmaster. Films like this are having a notable impact on the Wing Chun community in North America. KFT: There is now some pretty good evidence that the traditional Chinese martial arts are declining in both China and (to a lesser degree) in the west. In your personal and business experience, how is Wing Chun doing? Is this a community that is growing, shrinking or steady in size? AC: I agree that Chinese martial arts are not doing well overall. If I had to pick an exception to the rule, however, it would be Wing Chun. In my personal opinion, the community is still growing thanks in no small part to the recent movie releases, most notably Ip Man, and the attention certain celebrities like Robert Downey Jr and Donnie Yen have brought to the art. That attention on the art has given it momentum and speed up its recovery. This is not the sole reason, but one of the most recent reasons. For a while I really felt that the art was dying off. The videos and books coming out were really bad and it seemed to me that only a shell of the system was being passed on. Too many masters died without passing on a true and complete system. People were heavily modifying the art to fill in gaps of knowledge. Top students were leaving to train other styles. Top teachers were withholding knowledge for large sums of money or because they felt students didn’t deserve it while poor teachers seems to spread their crap art everywhere. The art was becoming more diluted and less effective with each generation. And I think others felt the same way, because I noticed people were getting fed up with the quality of Wing Chun being taught. If you said so-and-so’s Wing Chun is bad everyone would agree. It didn’t really matter who you were talking about – out of the hundreds of well-known Sifus as there were only a few exceptions. I’m not sure if I can pinpoint why a reversal has started, but it has. Things went down hill for years, but eventually it hit a bottom and the trend reversed and we are climbing back up again. The internet has played a large role in that as it has allowed people to share and compare knowledge. It is much easier to tell if your teacher is legit or not. The legit ones are getting the attention they deserve, and the poor ones are exposed. Today many people are also researching the past masters trying to gain a better understanding of the art. We are looking at all the lineages, comparing and trying to preserve what knowledge is left. The very fact we are looking and there are people dedicating their lives to trying to protect, understand, and preserve the art tells me it was dying. You don’t see this with a healthy modern art, such as BJJ for example. But luckily enough people care about Wing Chun that they are willing to fight for its survival. Globally speaking, there are two trends that I see today; the first is to better preserve the art and the second is to adapt it to the modern martial art scene. These are the biggest movements in my opinion, and oddly enough they are located at opposite ends of the spectrum. On one hand you have preservation by studying the historical art, on the other you have preservation by adapting the art to the modern world and keeping it relevant and interesting for current and future generations. Both, if done correctly, are legit ways to preserve the art. Adaptation of the art is really frowned upon by traditionalists, but in many ways adaptation was the route Ip Man took. Evidence suggests that he adopted the art from its mainland form to be more relevant and interesting to his students in Hong Kong. He certainly changed the Wing Chun he taught over the course of his life. KFT: What is the most challenging aspect of doing business in a multi-cultural global environment? What sorts of issues have you faced when doing business in or with different players in China? AC: To be honest I do not face many challenges in that regard. Forty percent of our customers and many vendors are outside of the USA. They have always been great to do business with. KFT: To what extent has Wing Chun become a truly global art, separated from its original matrix of Chinese culture? In your experience, is the art open to students from a variety of cultural backgrounds, or is some expertise in the ideas and attitudes of Chinese martial culture still necessary to really “get it”? AC: A background in Chinese culture and language definitely helps, and it will allow for a greater level of understanding for sure. But one can still master the current mainstream Ip Man Wing Chun knowledge base without any deep understanding of original culture. I think that there have been enough Chinese Sifus with western students over the years that they have adapted to teaching in our culture well enough to pass along what is necessary. A few generations ago this expertise in Chinese culture would have been a necessity. Now, it just adds to the depth of understanding. The exception would be if you are learning a version of the art that is only still taught on the mainland or outside the Ip Man family. Still, I see it being a global art open to any background. Language is always an issue. My guess is that the art is mostly taught in English now, second in either German or Cantonese. Lately, I am seeing new growth in the Middle East, Eastern Europe, India, and Brazil. Hong Kong skyline at Night. This is one of the most globally connected cities in the world. KFT: Lets talk about lineages. Everyone has got one, and they seem to be the most important tribal markers within the Wing Chun clan. Why has the idea of lineage played such an important role in the development of Wing Chun (and other Chinese arts)? From your perspective, are these structures becoming more or less salient to the modern Wing Chun community? AC: Lineage has always been one of the most important things in a martial art. Today, however, it is less important than in the past. I’m sure you can imagine the historical role it played into daily life. Who taught you was everything. It was a matter of life or death because you relied on these teachings when fighting for your survival. Likewise leaving your teacher and taking their secrets to another was a bitter betrayal since you would make the whole lineage more vulnerable (their style/secrets could be studied and the counters to their techniques mastered by the enemy). Even today I know a lot of Sifus who won’t make a video because they do not want people to be able to study them and their fighting style in case they are challenged by other masters. That said, today you can go online and get much of this previously “secret” information within minutes and it is a rarely life or death issue because I think we all know that theoretical knowledge is not the same thing as ability or experience. However, lineage is still salient in Wing Chun because this is a personalized art and it really reflects what you will be learning. It plays an important role within Ip Man Wing Chun due to how he taught. A really good teacher will not teach each person the same way. They will customize the teaching to the individual and focus on the things that the student is best at or relay information to that person in a way that he/she can best understand it. Over time a teacher will also refine the art and how it is taught. Ip Man taught all his closest students and disciples differently and for the most part they all got a different version of the art from Ip Man. You may think that this caused his students to have an “incomplete” education, but in reality this is the mark of a great teacher. On the other hand, Ip Man also didn’t bother correcting you if you were thick-headed or didn’t “get” what he was telling you. All of this combined is why two Ip Man students can have very different forms of Wing Chun – and why which one you pick as a teacher matters. Lineage will always be important. It is like what school or university you went to. A Harvard graduate will always get more respect and probably a better education than a community college grad, even if they study the same subject. Who your teacher is and who their teacher was is very important to your own education. But these days it is good that people are exploring all the lineages. The gap is closed with the supplemental education that websites like mine offer. Besides a greater overall understanding of the art, it allows them to find a teacher/lineage that speaks to them. KFT: Economic and political relations between China and the west (America in particular) have had their ups and downs. If there were to be a real crisis in the political relationship between these two countries (similar to what we saw between China and Japan this summer) would this have a serious impact on the Wing Chun community? AC: It depends on Hong Kong, as that is the West’s main connection with the art. Yes, it would hurt the community; but no, it would not really impact the art. Wing Chun is already mostly taught in the West. The current generation of westerns would not get to go train with the original Chinese masters, but since a great many of our current generation of masters are Westerners it would not hurt the art too much. It would continue on there, and over here and eventually the two sides would meet again. I think there would be an outcry in the community about this, but not a huge impact on the martial art itself. KFT: Can you tell us a little bit about the Wing Chun University project? What do you hope to accomplish with this site, and how do you see it contributing to the future development of the art? AC: I started the University in order to try to capture/promote the complete system from multiple lineages. We ask that the teachers put everything that they know about their art on video in a structured manner so that others can learn it. It is a legacy of sorts… A way for a teacher’s grand students and great grand students to go directly to the source 50 years from now and see what their great-SiTaiGung wanted them to know. What would Wing Chun look like today if Ip Man had laid out the entire system with all the details on 50+ hours of video before he left us? That is what the University is trying to do for each lineage. Right now we are getting Sifus that can teach really well to film and the videos will be available for viewing as they are finished. In the future when technology is a bit more advanced we will make the learning a lot more interactive so that people have the best online learning experience possible. The goal is to preserve the art and to really teach it in the best possible way online. 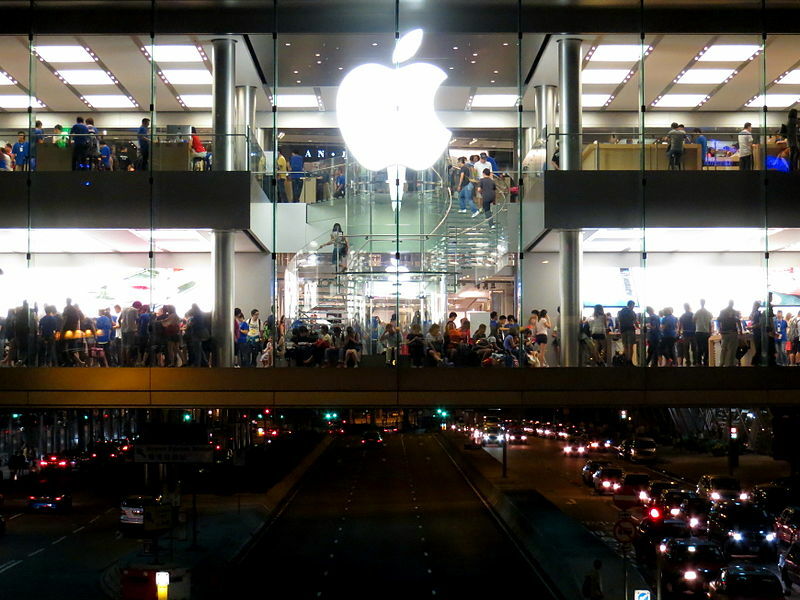 Young adults packed into the Apple Store in the International Finance Center Mall, Hong Kong 2012. KFT: When you want to know what is happening in the Wing Chun world (or the realm of the martial arts more generally) where do you turn? Where do you get most of your information? The internet? Specific publications? Is social networking an effective way to stay informed and keep in touch with your customers? AC: Wing Chun information can be found everywhere: Blogs, websites, Facebook, talking to Sifus, our customers, etc. Facebook is a big one these days, of course. Truth be told, I usually don’t have to seek out information. I generally hear about things just from my normal interactions. The eWingChun website will help compile some of this info once it is complete. The internet and social networks are a plus. Of course it changed the way the community operates – it changed the way the world operates. The increased dissemination of information about the art has been the biggest benefit in my opinion. In terms of social media, I find it best for getting the community’s opinion on something, or spreading information. The best single way to stay informed right now seems to be Facebook. There is a notable magazine and a couple blogs that do a great job as well – but of course they are also on FB. KFT: As you know, Kung Fu Tea is dedicated to the academic examination of the Chinese martial arts. Many of our readers are either in academics or involved in these sorts of discussions. Over the last decade there has been a rapid expansion in the amount of reliable historical, anthropological and sociological information on the Chinese martial arts. Has any of that information affected the way you think about your martial practice? In general, does this sort of discussion have a place in the future of the Chinese martial arts? AC: Thanks for the great site, BTW. I appreciate the academic perspective. Some of the new information coming out has changed the way I think about the style’s development, but it is purely academic. Some of the discussions that have had the biggest effect are things like the butterfly swords – mainly because of our involvement in making them for the Wing Chun community. Overall I think the research and discussion of our martial art’s history is critical. I doubt it will affect how it is actually practiced. We can’t forget that the basis in any martial art is putting in the time to train your body to react a certain way. We can theorize all day long, but we learn by repetition, sweat and bruises. But still, cutting through myth and getting to fact is typically a good thing. KFT: Last question. Your company sells some beautiful dummies. What sort of dummy do you use? Do you have a favorite set of swords? AC: Because I am involved in making Wing Chun swords I have quite a collection (over 50 pair by my last count), so it is a tough choice! I currently like our “Flagship Line” of Choppers best, but have several new designs in production that will be even more to my personal taste and fighting style. As for dummies, I’ve used almost all of them and have 2-3 at my place at any one time. I like working out on different ones. I’m not sure I can pick a favorite. I always like Buick Yip’s. Right now I am using a custom free-standing dummy. As with the swords, which dummy you use should fit your body and goals. KFT: Thanks so much for stopping by and sharing your unique perspective on the current state of the Wing Chun community! AC: No problem. I hope your readers find it interesting. VERY impressive interview! Keep up the good work! Thanks for dropping by Graham, I am glad you found it interesting. Mr. Cantrell’s interview was brilliant. He spoke of the many aspects that need attention in order to bring back the respect which this magnificent art deserves! Well done all! Thank you Aaron for truth, honesty and hard work in both the arts themselves and in the business(s) you operate.